As the capital of modern day China and many of its past dynasties, Beijing has a long and rich history dating back over 3,000 years. Constantly reinventing itself over the centuries, this great city is as compelling as it is complex. Salar de Uyuni in the Bolivian Andes, the world’s largest salt flat, is an other-worldly experience that has to be seen to be believed. Morocco, also known as the Western Kingdom, is a fascinating country with a blend of Arab, indigenous Berber, Sub-Saharan African, and European culture. Phang Nga Bay (Thai: อ่าวพังงา) is in the Strait of Malacca between the island of Phuket and the mainland of the Malay peninsula of southern Thailand. Since 1981, an extensive section of the bay has been protected as the Ao Phang Nga National Park. Most of the park consists of an area of the Andaman Sea studded with numerous limestone tower karst islands. The best known of these islands is Khao Phing Kan.
Sydney, Australia’s largest city, is known for its beautiful harbors, relaxed lifestyle, ideal climate, and friendly locals. The city is a multi-ethnic hub of business, culture and creativity. The Opera House, Sydney Tower and the Harbour Bridge have become the city's famous landmarks to international visitors. Sapporo (札幌市) is the largest city on the Hokkaido island, located north east of Japan. Before its establishment by the Meiji government in the late 1800s, the area was home to a number of indigenous Ainu settlements. Today Sapporo is known outside Japan for having hosted the 1972 Winter Olympics and home to the famous Sapporo Brewery. Tanzania is a country in Eastern Africa. Its unspoiled national parks rival any in the world. On Tanzania's Serengeti plain, white-bearded wildebeest and other mammals participate in a large-scale annual migration. This itinerary includes Tarangire National Park, Serengeti National Park, Ngorongoro Conservation Area. Known to the early residents as "Little Paris", Da Lat (also spelled as Dalat) is a blend of hillside rural Vietnam and European alpine town. It is the capital of Lam Dong Province, the local weather stands in contrast to the country's tropical climate. Mist covering the valleys almost year-round leads to its name "City of Eternal Spring". Kandy is located at the centre of Sri Lanka 125 km away from Colombo and is generally recognised as the island nation's cultural capital. It was the last capital of the ancient kings' era of Sri Lanka. It is on the UNESCO World Heritage List. Toronto, also known as T.O. or Queen City, is the largest city in Canada and widely recognized as one of the most cosmopolitan and multicultural cities in the world. Gyeongbokgung, also known as Gyeongbok Palace, was the main royal palace of the Joseon dynasty, its name means "palace of shining happiness". 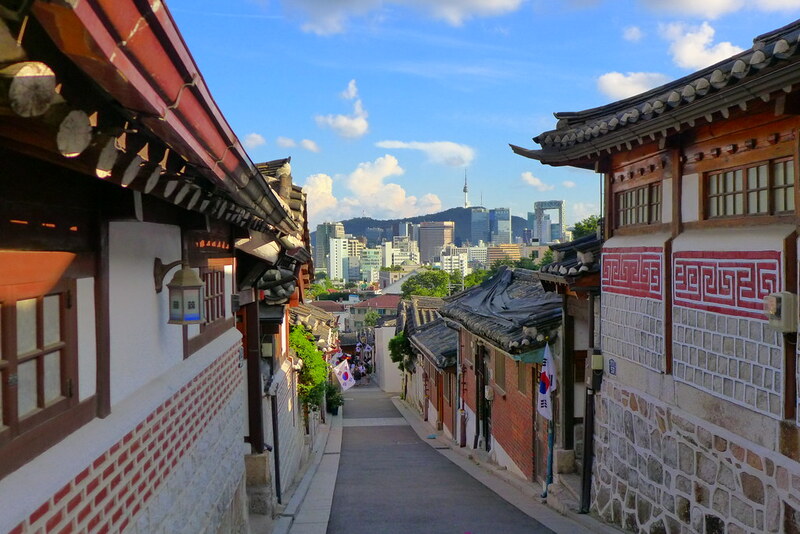 Built in 1395, it is located in northern Seoul and the largest of the Five Grand Palaces in Seoul. The main entrance to the palace is Gwanghwamun Gate. The premises were destroyed by fire during the Imjin War (Japanese occupation during 1592-1598) and abandoned for two centuries; however, in the 19th century, all of the palace's 7,700 rooms were restored. The Royal Guard changing ceremony is performed at 10am and 2pm, each lasts 20 minutes. Bukchon Hanok Village is a Korean traditional village composed of many alleys and hanok. It is preserved to show a 600 year old urban environment for visitors to experience the atmosphere of the Joseon Dynasty. A UNESCO World Heritage Site since 1995, Jongmyo is a Confucian shrine dedicated to the perpetuation of memorial services for the deceased kings and queens of the Joseon Dynasty. Built in 1394, the shrine is the oldest royal Confucian shrine preserved and the ritual ceremonies continue a tradition established in the 14th century. The main buildings of Jongmyo were destroyed by fire in the Japanese invasions of Korea (1592–1598), then rebuilt in 1608. Cheong Wa Dae, also known as the Blue House, is the executive office and official residence of the South Korean head of state. The signature feature of the presidential residence is its blue tiles, which blend beautifully with Mount Bugaksan in the backdrop. Tours start at 10am, 11am, 2pm, and 3pm except on Sunday, Monday, and holidays. Insa-dong is a neighborhood of the Jongno-gu district in Seoul, its main street is Insadong-gil. The neighborhood contains a mixture of traditional and modern atmosphere. There are more than 100 galleries and tea shops, it was once the largest market for antiques and artworks in the country. 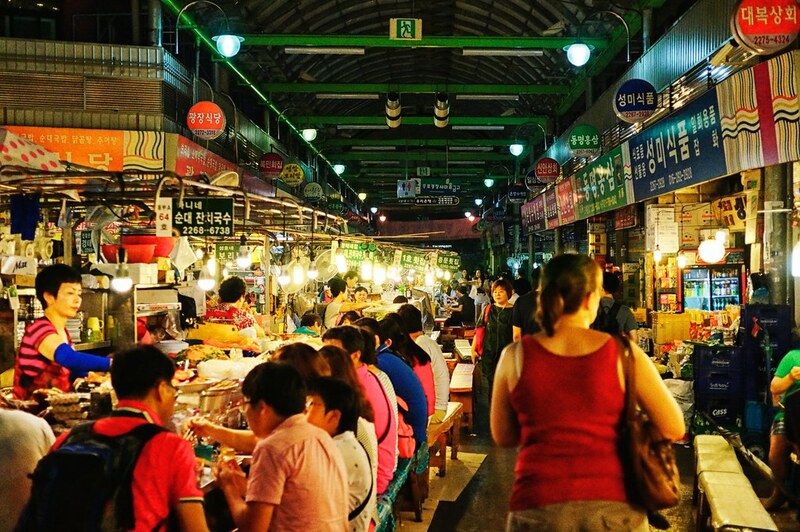 Myeong-dong is a Seoul's primary and most famous shopping area featuring a variety of fashion shops and restaurants. Myeongdong Festival has been hosted since 1982 to vitalize the commercial area and encourage tourism. It is usually held twice a year: from the end of March to the middle of April in spring, and the month of September in autumn. Bongeunsa is a Buddhist temple located in the Gangnam district. It was founded in 794. During the Joseon Dynasty, Buddhism was suppressed, the temple was reconstructed in 1498. A fire in 1939 destroyed most of the buildings, the temple was then repaired and restored. The oldest building is a library built in 1856. The National Museum of Korea is the flagship museum of Korean history and art. Since its establishment in 1945, the museum has been committed to various studies and research activities in the fields of archaeology, history, and art. The museum was relocated to its current location in Yongsan district in 2005. Admission is free to the Main Exhibition Hall and the Children's Museum; there is a separate charge for special exhibitions. Built in 1971 and opened to the general public since 1980, the N Seoul Tower is a communication and observation tower located on Namsan Mountain. It is a renowned as a national landmark and for the panoramic view of the city it provides. Many visitors ride the Namsan cable car up the mountain to walk to the tower. 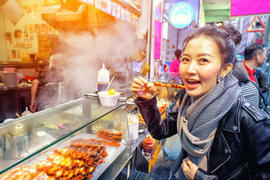 Hongdae is a neighborhood near Hongik University, after which it is named. It is known for its urban arts and indie music culture, clubs and entertainments. If you are a Hello Kitty fan, there are more reasons for you to enjoy Hongdae as there is a Hello Kitty Cafe nearby the subway station where you can get Hello Kitty latte and pastry. If you want a day trip to the DMZ (demilitarized zone), you have to book a tour in advance, individual visitors are not allowed. The JSA (Joint Security Area) is the only portion of the DMZ where North and South Korean forces stand face-to-face, it is also known as the "Truce Village". There are a few agencies that provide tours to the JSA, such as the United Service Organizations (USO). USO tours depart from Camp Kim in Seoul in the morning (Camp Kim is located near Samgakji subway station exit 10). Remember to bring your passport and dress appropriately. Want to promote your itinerary? Write to us. 43km's global community helps you find personalized tours from local guides, find travel buddies and share short travel stories.